There are many incredible places to visit around the world, although it’s safe to say that not many are quite as unique as Bangkok. As one of the most populated cities in Thailand, this area should be a “must-see” if you’re going to be in the country. However, with so much to do and see, it can be difficult to fit everything into your stay. To help ensure you don’t miss out, check out the list of the top six places to visit in Bangkok below. Use the information about each to customize your stay and design a trip that you won’t soon forget. 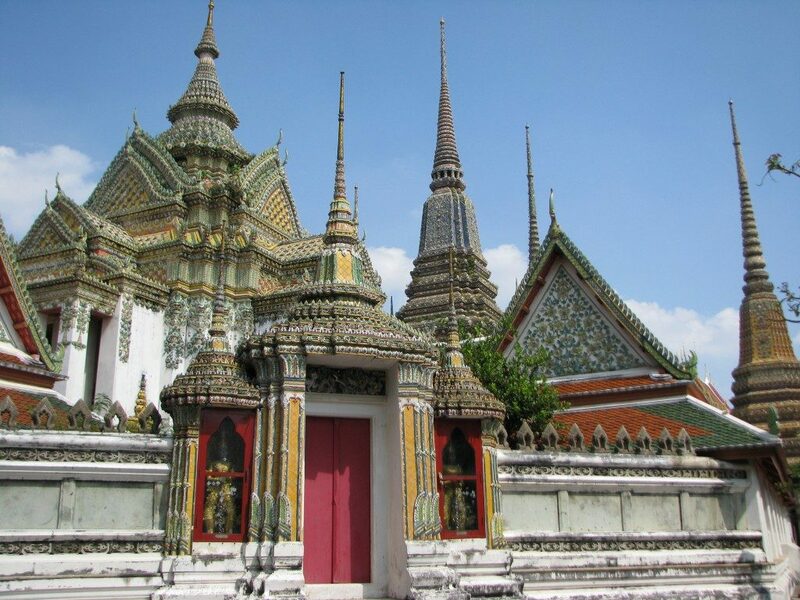 Although you can spend a lot of time walking around the Grand Palace precinct, it’s worth it to see Wat Pho. This is the oldest temple in Bangkok and was built by King Rama 1, making it incredibly special and a popular spot for both tourists and locals to visit. Known to be a place of healing, in recent years it has began to offer services such as foot massages and other health care offerings. However, these generally cost more than you’d spend in other areas throughout the city. Of course the biggest draw of Wat Pho is the 45m long and 15m high statue of the Reclining Buddha. In fact, it’s so large that it can only be viewed in sections, each of which are incredibly detailed. 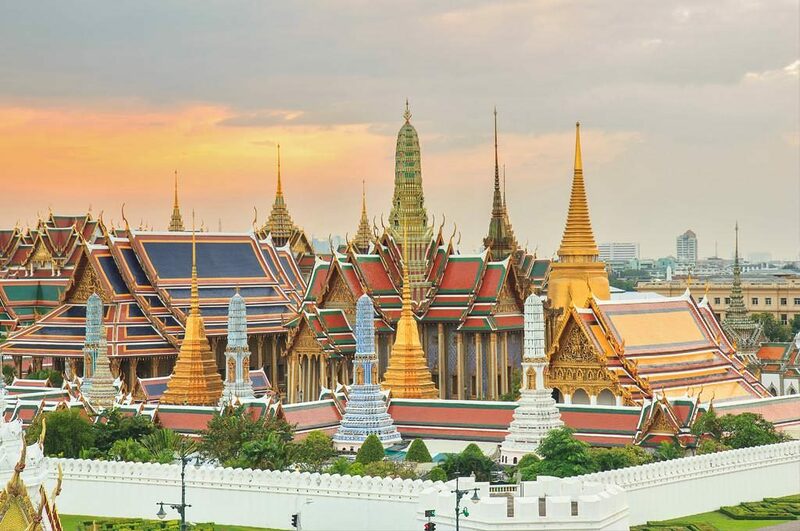 If there’s one thing you can’t miss out on when visiting Bangkok, it’s the Grand Palace. Although a major tourist attraction, it is still visited by locals because of how genuinely special it is. In fact, it’s one of the most unique structures in the country as well as the world! It’s home to the Jade Buddha and was a royal home for generations before it began being used for ceremonies for the heads of state. It’s recommended to take a tour for the least hassle and to learn the most about the Palace. Additionally, it’s important for guests here to dress modestly while visiting (covering arms and legs). For those who are more daring (and certainly not squeamish), the Siriraj Medical Museum is certainly not to be missed. It’s a museum designed for medical students and professionals, although that hasn’t stopped tourists from all over the world from stopping by to see it. Nicknamed the “Museum of Death”, the space is huge and spreads over two buildings so you can spend an entire day strolling around. However, be prepared to see displays that could be deemed as “bizarre”, such as real tissue and body parts in jars. While there are many ways visitors can get here, the water taxi is the most recommended option. It will provide you with a great view and will get you there more quickly as well. To make the experience even more interesting, ask for an audio guided tour. To take a break from all of the incredible sights in Bangkok, the Wang Lang Food Market is worth visiting. It’s here where you’ll find delicious street food that’s very affordable without compromising on taste. Even if you don’t speak Thai, you’ll find that the people here are incredibly friendly and willing to help. The vendors in particular will make sure you’re fed without spending a lot of money. 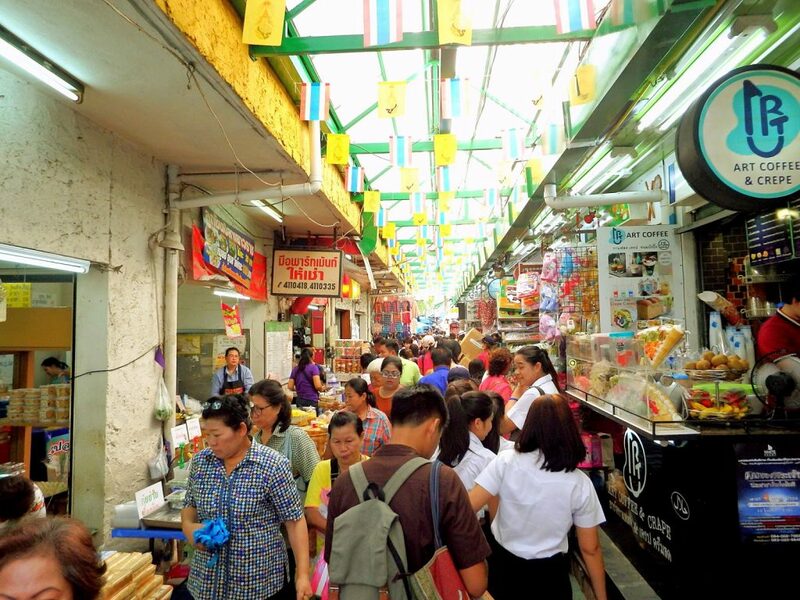 What’s best about this market is the fact that it’s a hot spot for locals because the cuisine is genuine and so close to nearby hospitals and schools. Once you’re done eating, a walk to the pier is just a few steps away so you can see incredible views while you eat your meal. Even if you’re not a big shopper, Siam Paragon is not to be missed. It’s the third largest shopping mall in Thailand and is packed full of thousands of things for visitors to do. This includes shopping at one of the hundreds of stores, visiting the Sea Life Ocean World Aquarium, or even going to the opera concert hall. There’s also a karaoke center, art gallery, bowling alley, and many other activities to enjoy while visiting here. In need of a luxury car? You can find showrooms right within the mall, including those from Lamborghini, Bentley, Lotus, and Maserati. What’s even better is the fact that visitors from America will find comforts of home with restaurants such as KFC, Tony Roma’s, and McDonalds. 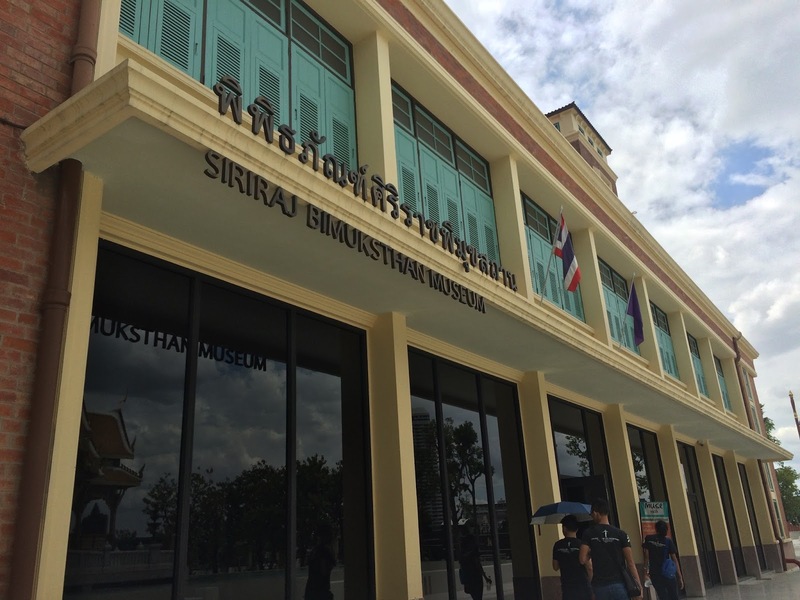 For those who are interested in history, this museum has the largest collection of Thai art and unique artifacts in the country. As you walk through you can see everything from historic weapons and clothing to masks and documents. If you don’t speak Thai, then it’s recommended to go on Thursdays when there are English tours available. Being the largest museum in Southeast Asia, it’s recommended to bring comfortable shoes when you do plan on visiting. One recommended exhibit to visit is the tribute to the late king, which displays his life and the reaction to his death. – Call any museums or temples ahead of time and ask if they have English tours on certain days. – Try and plan tours on days when buildings host free admission. – Bring comfortable shoes and try to avoid walking outside during long and hot days. – Take the BTS SkyTrain to take you to different areas around the city. This is the go-to mass transportation system that’s easy to navigate and will save you time and energy. When visiting Bangkok, you can look forward to a lot of attractions, people, sights, and sounds that you wouldn’t experience in other cities around the world. While it can be easy to get overwhelmed with all that there is to do, a set schedule will certainly help keep you on track for the duration of your trip. By adding the cities above to your list of things to do, you won’t be let down. They’ll add a lot of fun to your overall experience and ensure you can tell your friends and family endless stories about the things you did and saw.